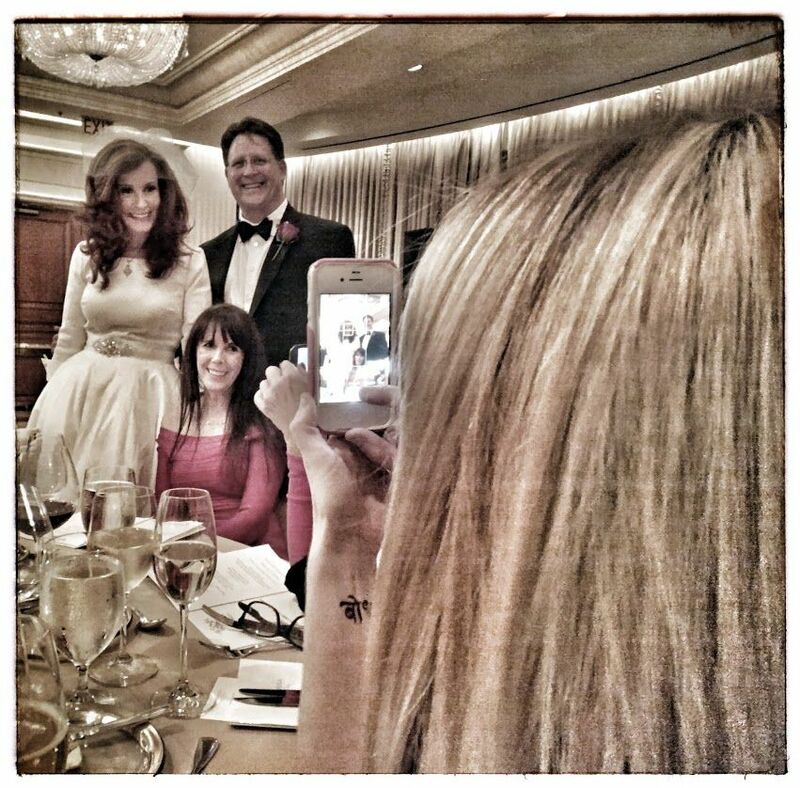 Tweethearts and social media influencers Marsha Collier and Curt Buthman tied the digital knot on November 8, 2013 at the Peninsula Hotel in Beverly Hills making social media history in a wedding to remember. As the first bride to ever walk down the aisle wearing Google Glass, the fairytale romance of Collier and Buthman continues to warm our digital hearts. Still in its early test period, Collier was invited by Google in the early fall to be a "Glass Explorer." Glass appears to be a pair of glasses, but in reality is a wearable computer with an optical head-mounted display as part of Google's Project Glass research and development project. 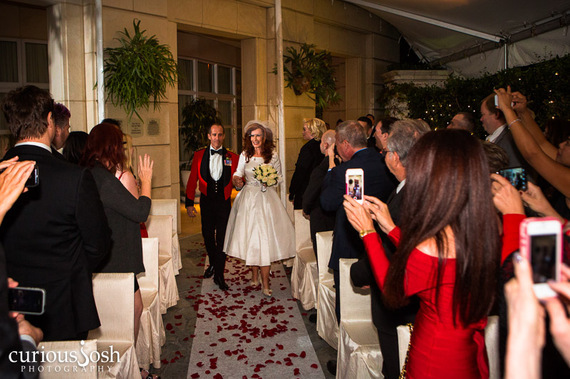 As the bride was escorted down the aisle by her first cousin, British Army Colonel Simon Goldstein MBE, she was able to take photographs and videos of the ceremony, with technology being in the forefront of the nuptials. As the co-host of the Computer and Technology radio show and host of the Twitter #custserv chat, Collier made sure all of the fine details were in place. 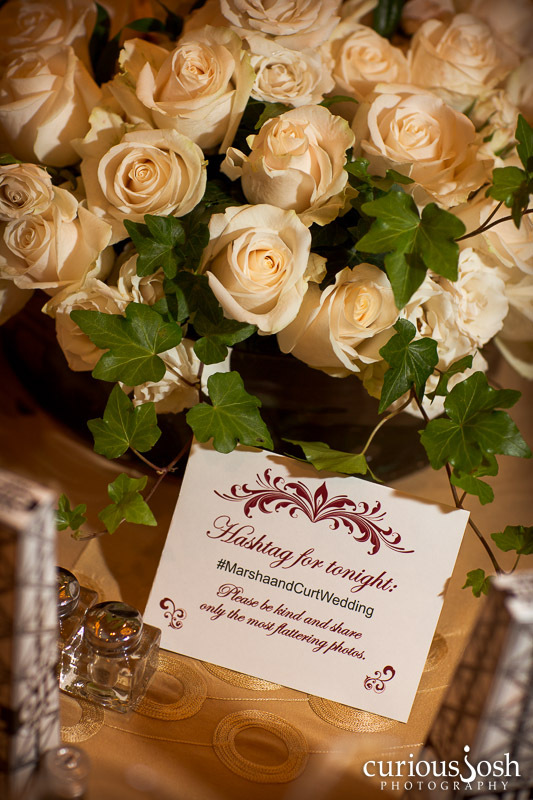 Many of the social media guests participated in the crowdsourcing of the wedding hashtag of #MarshaandCurtWedding and helped the newlyweds become a trending topic on Twitter. The couple, both social media enthusiasts, started following each other in 2009 and became friends. They eventually met in person (IRL) at BlogWorld, the world's largest social media conference where Collier was autographing copies of two of her books, eBay For Dummies 6th edition & Facebook and Twitter For Seniors For Dummies at the Wiley booth at the conference. It was digital fate of love for Collier, the author of over 40 books and named in the Top 10 Most Influential Women in Social Media by Forbes to fall in love with one of her friends and followers on Twitter. So how did this digital couple capture the hearts of social media enthusiasts around the world? In the Bridal suite of the Peninsula, Collier shared the story with me about the tweet that caught Buthman's eye. "I was stumped as to how to change a lightbulb," said Collier. 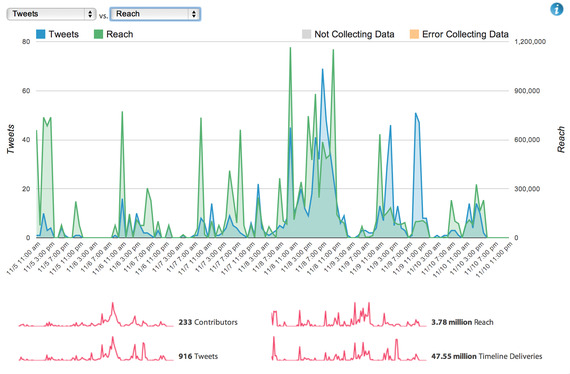 "I turned to the twitterverse and asked, 'Can anyone help me? Is there an electrician out there?'" Buthman came to her rescue and send her a private message and their friendship turned into a digital crush. When Buthman sent out a tweet, which said, "I need 5 more people on Facebook to get my Vanity URL," Collier tweeted back with, "And now you need 4 more." The two were engaged in May of 2013 in the first-ever Twitter Vine video marriage proposal, where Buthman cleverly surprised Collier by asking him marry him during one of her Twitter chats. Their marriage proposal went viral and was covered by People magazine, the Daily Mail, and several television stations. 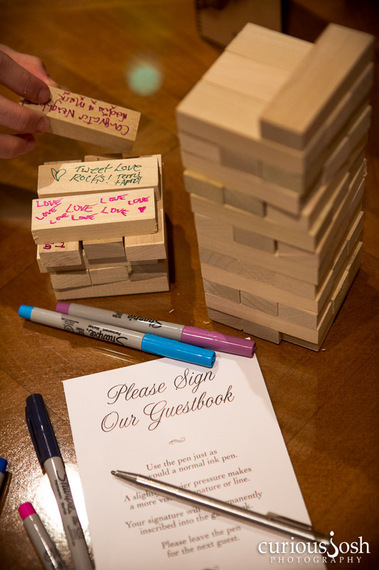 In keeping ahead of the social media trends, the couple memorialized their vows as the first couple to say "I do" using the Twitter Vine video app so those watching around the world could cheer them on. Guests were encouraged to keep their phones on to snap photos of the festivities and enjoyed sending personalized wishes in the Jenga guest book prior to the ceremony. Hashtracking.com reports that the wedding hashtag of #MarshaandCurtWedding reached 3.78 million with estimated timeline deliveries of 47.55 million. Wedding guest Lynn Langit is also a Google Explorer. 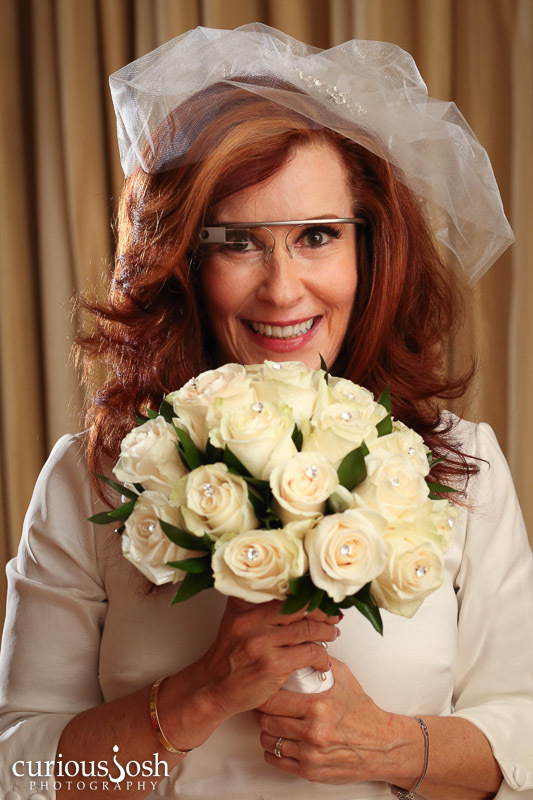 She arrived proudly wearing her Google Glass and took photos of the festivities. "I wore Glass to my friend Marsha's wedding in particular for a couple of reasons," said Langit. "First was as support for her. She walked down the aisle wearing Glass and I wanted to show that this will become the 'new normal' for various types of situations and events, yes, including weddings. 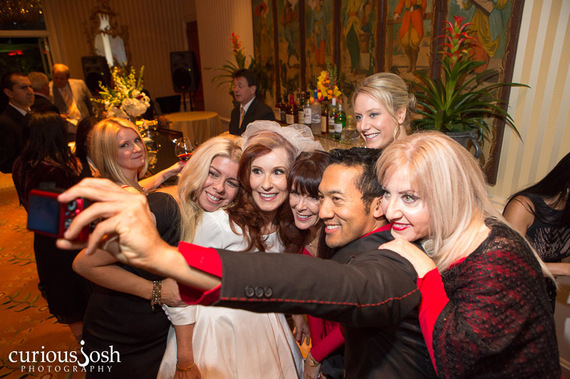 It's a less obtrusive way to record a video of a special event - less obtrusive that holding up a camera or cellphone, so both Marsha and I were able to capture video and still photos while being able to participate more fully in her wedding." "Also, the fact that Glass is already pretty well integrated into core social media such as Twitter, G+ and Facebook, allowed me to follow the tweets, etc from the wedding without having to pull out my phone," Langit added. There was quite a bit of Glass-envy as everyone took turns trying them on to experience Google Glass first-hand. "I posted to G+ (instantly and seamlessly, as expected) and to Twitter (Glass app works pretty well)," said Langit. She pointed out that there are Glass apps for Facebook, Tumblr, Path and a few more. Other social media guests and influencers included Amanda Coolong @acoolong of Techzulu, Kevin Winston @kevinwinston of Digital LA @digitalla, Calvin Lee of Mayhem Studios @mayhemstudios, Babette Pepaj of Bakespace @bakespace, Lori Moreno @LoriMoreno, Lynn Langit @lynn langit, Michael Pilla @michaelpilla, Heather Meeker @HeatherMeeker, Rynda Laurel @rynda, Henie Reisinger @HennArtOnline, Shannon Smith @ShannonSmith of Beauty Smith @BeautySmith, Hoda Diba @hoda007, Jessica Gottlieb @JessicaGottlieb, and myself @JulieSpira. The ceremony was officiated by Jeff Rago @JeffRago with Curious Josh Reiss @CuriousJosh as the official wedding photographer. Susan Dickman @SusanDickman, daughter of the Bride was the Maid-of-Honor. Early Tweethearts April and Terry Simpson @producergirl @TerrySimpson drove in from Arizona to celebrate with the newlyweds. The Simpsons, who also met and married with the help of Twitter, are the proud parents of the first Twitter baby, @JimmyGSimspon. Their child, who is now three, was tweeting from the womb before he was born in 2010. Others joined the digital conversation from afar including Linda Sherman @LindaSherman from Hawaii, Curt Smith @curtsmith from Tears for Fears, American Airlines @AmericanAir, and the Peninsula Hotel @ThePeninsulaBH, where the festivities took place. Buthman's Texas roots were clearly present as each guest received Texas Oil Drops from the Santa Rita Discovery Well in Midland Texas, ironically bottled on May 28, 1923. It was 90 years from that date that Buthman proposed marriage to Collier. At the end of the digital day, Buthman admitted he was attracted to Collier's Twitter profile photo when he started following her, proving once again, it's all about the photos.